Reminder: Creek Road is closed for reconstruction. Please find alternate routes.Please check back here or on Facebook for updates. Due to the continuing decline of Creek Road, the Public Works Department will be closing Creek Road to through traffic beginning April 30, 2018. Please plan to take alternate routes until the repairs are completed. Thank you for your patience. Change of Schedule for Creek Road Paving: Due to the declining condition of Creek Road, on or about April 23, Public Works will be closing the road to through traffic for road improvements. Please check back for updates. As a reminder, we are still in the winter months and basketball hoops and nets must be removed from roadways and sidewalks. Please click here for more information about snow removal damage. 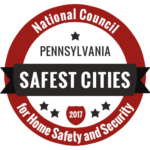 Warwick Township named one of the safest cities in America! 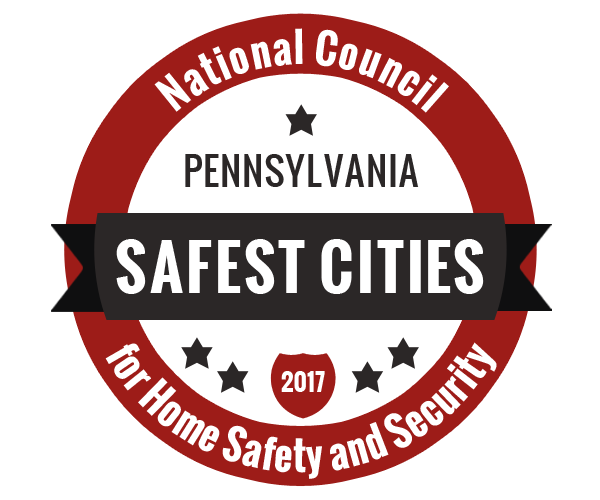 Warwick Township named one of the safest cities in PA! Warwick Township is asking residents to keep all grass clippings, leaves and other yard waste off of streets and other Township Property including no dumping in Parks, Open Spaces and Basins. Please direct mowers away from the street and remove any clippings that may have been accidentally blown into the street. It is unlawful to deposit these materials onto any township property at any time pursuant to Ordinance 84-1 Chapter 127, Nuisances. 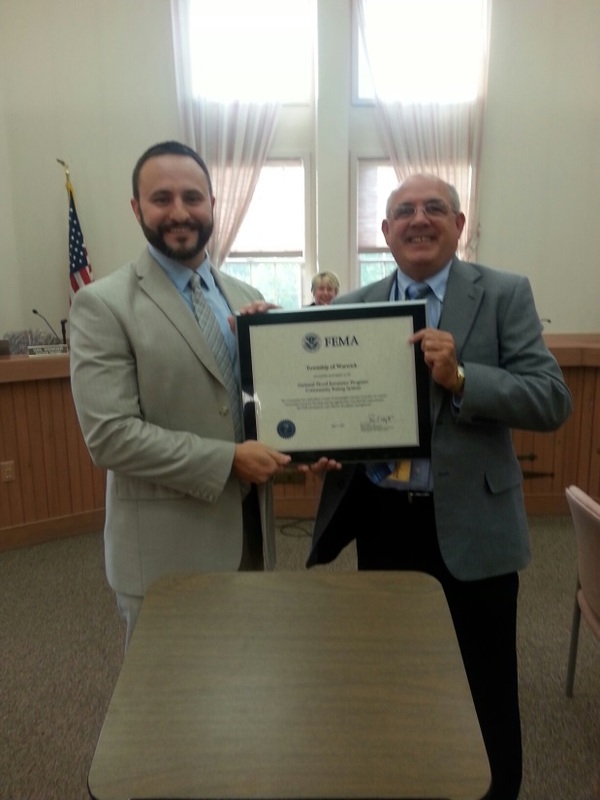 On June 20th 2016, FEMA recognized Warwick Township for achieving membership in the Community Rating System. Warwick earned a level of membership at a Class 7 rating. The Class 7 rating is the second-highest rating earned by any community in the Commonwealth. Nationally, a relative handful (approximately 5%) of NFIP communities choose to exceed FEMA’s minimum requirements for NFIP participation, and these additional efforts and activities result in a community that is safer and better prepared for future flooding events. 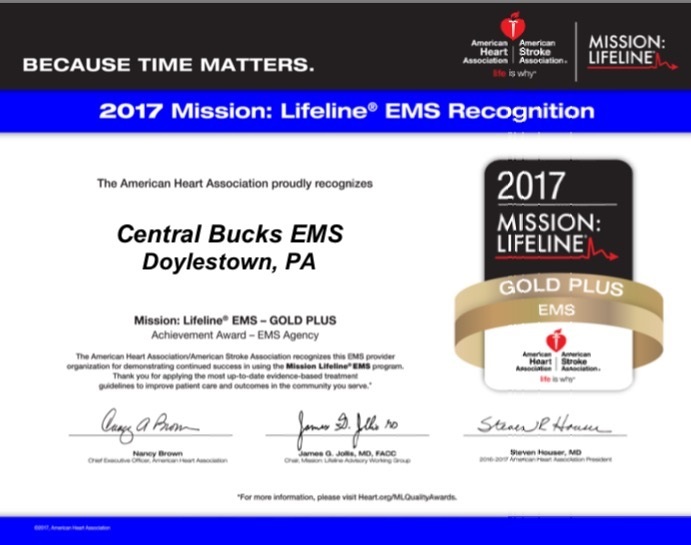 As a new member of the CRS program, Warwick Township has joined an elite group of only 27 communities in the Commonwealth of Pennsylvania that have been recognized for going above and beyond the minimum requirements to make their communities safer. Perhaps more tangible and more important to Warwick Township’s residents, the Class 7 rating qualifies each NFIP policyholder for a 15% premium discount for any policy written in the Special Flood Hazard Area.